Mae West, originally uploaded by Gatochy. Click image for 500 x 655 size. Click image for 500 x 631 size. Little black dresses, 1920s, originally uploaded by Gatochy. Scanned from "Decades of Fashion" by Harriet Worsley. Click image for 970 x 968 size. 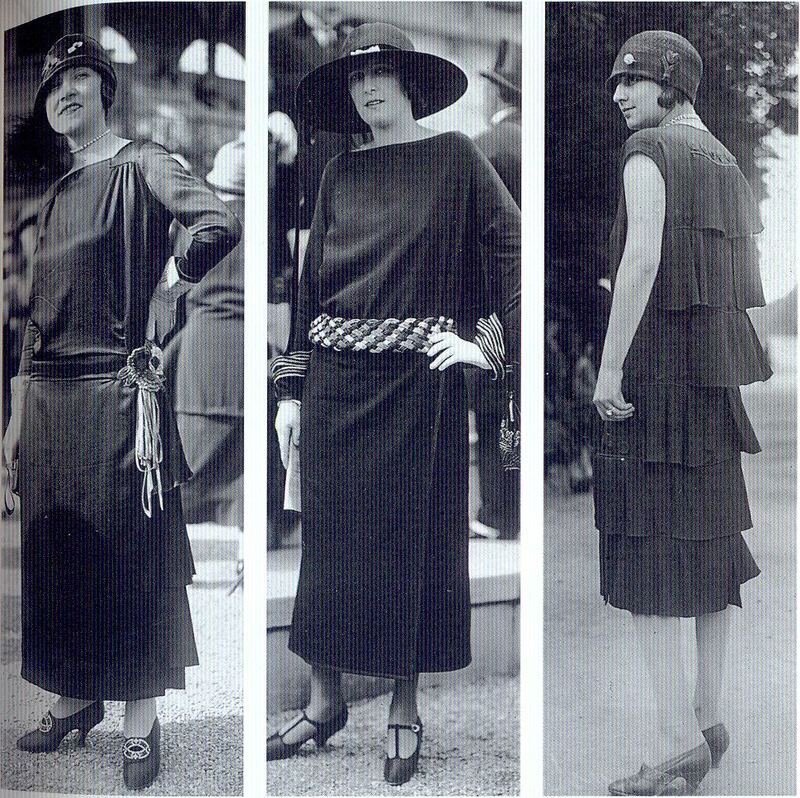 From the book: "The plain black dress by Bernard (above, left) draws attention to the rosette motif at the hip and the decorative buckles on the shoes. An embroidered belt has matching cuff detail (above, centre) which resembles a fashionable row of bracelets. The dress is by the House of Jenny. The tiered pleats of crêpe de chine of this Phillippe & Gaston dress (above, right) help to soften the silhouette." Phillippe & Gaston dress, 1920s, originally uploaded by Gatochy. Scanned from "Decades of Fashion" by Harriet Worsley. Click image for 300 x 962 size. From the book: "The tiered pleats of crêpe de chine of this Phillippe & Gaston dress help to soften the silhouette." Click image for 972 x 968 size. Scanned from "Decades of Fashion" by Harriet Worsley. 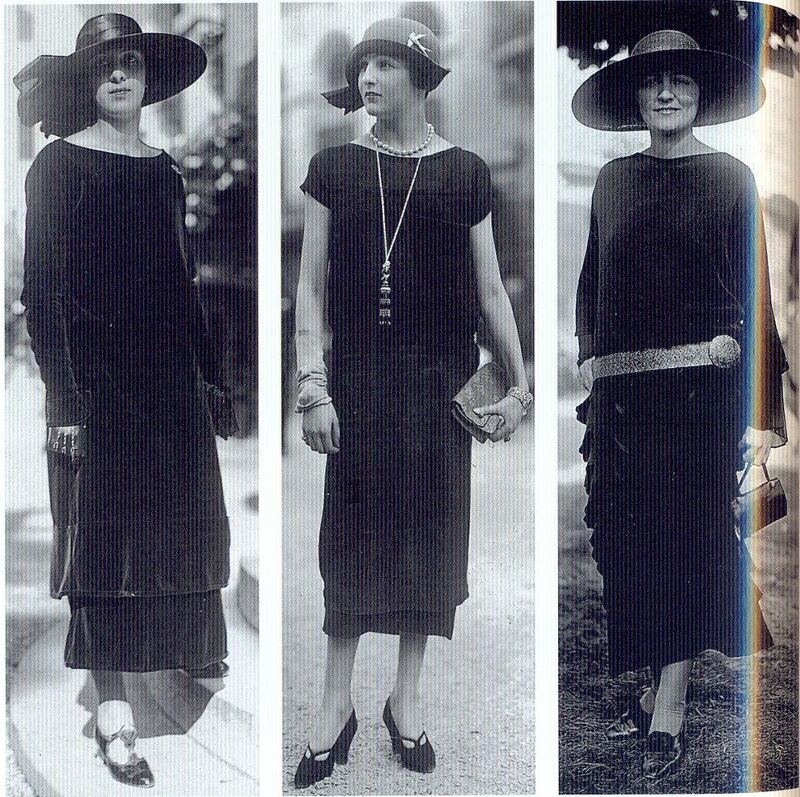 From the book: "The little black dress was made fashionable by Coco Chanel and Edward Molyneux and was promoted by American Vogue in 1926. 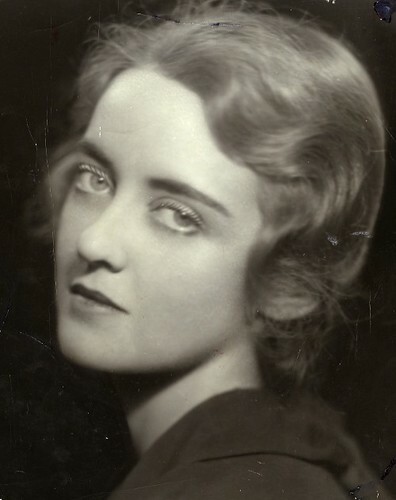 Black dresses had not previously been fashionable for society women, unless they were in mourning. For one thing, they made a good base from which to show accessories. A velvet dress by the House of Jenny (above, left), another dress by Jenny showing off a tasselled lipstick holder (above, centre), and a dress by Madeleine Vionnet (above, right) with signature scalloped panels." 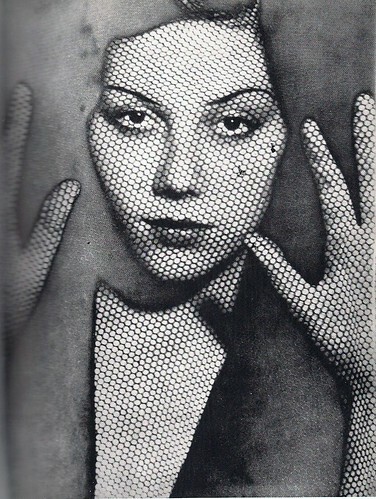 The Veil-1930, originally uploaded by picassoswoman. Dress by the House of Jenny, 1920s, originally uploaded by Gatochy. Scanned from "Decades of Fashion" by Harriet Worsley. Click image for 306 x 964 size. 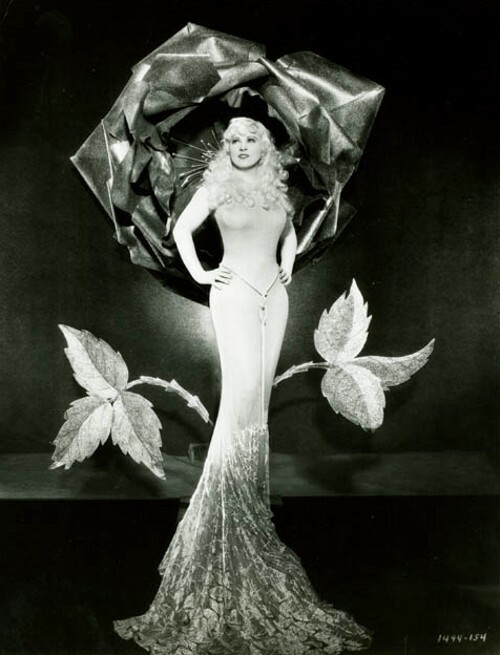 From the book: "A dress by Jenny showing off a tasselled lipstick holder."